1. #BJP winning approx 63% of seats (435/690) of #Elections2017. Orange Holi it is. Holi and Diwali to get proper electricity too. History takes ‘U’ turn. U for #UttarPradesh. U for #Uttarakhand. 2. Election Commission had banned all exit polls during elections. The polls came out later, still got it way way wrong! They didn’t see the #TsuNaMo coming. 4. 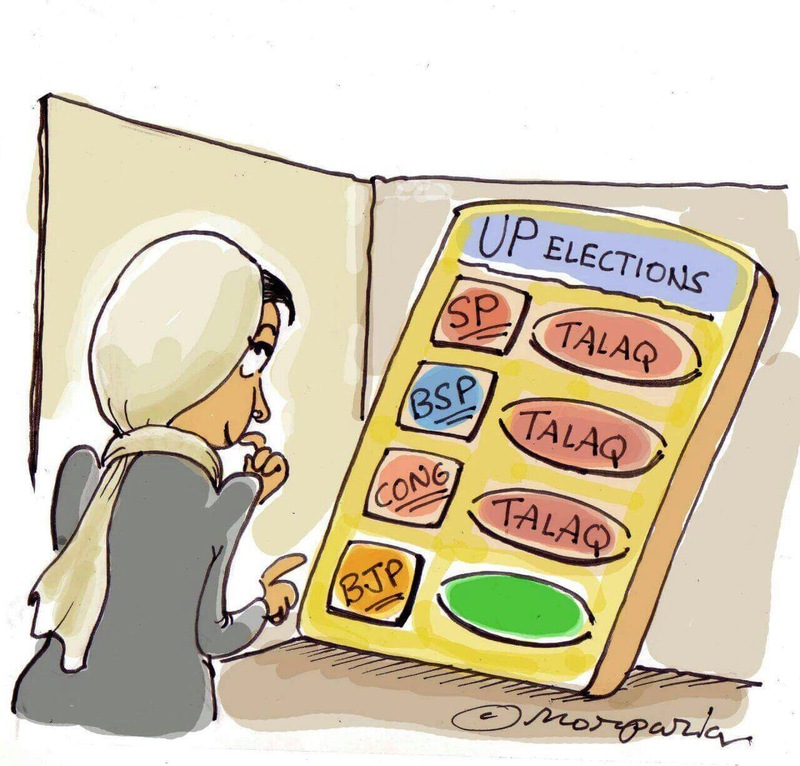 #BJP didn’t field a single Muslim candidate in the UP elections and Muslims who voted for BJP, saw through the ideology. Out goes the repeatedly mentioned ‘Muslim vote’ agenda for future polls. 5. 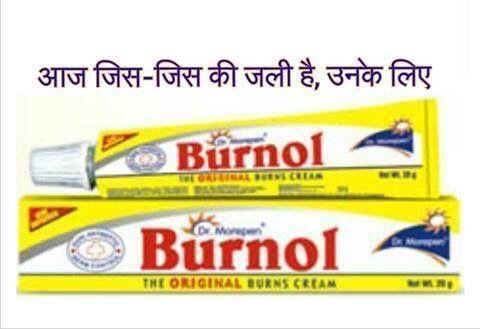 #Congress must thank #ArvindKejriwal for his non stop appearance ads on television news channels. 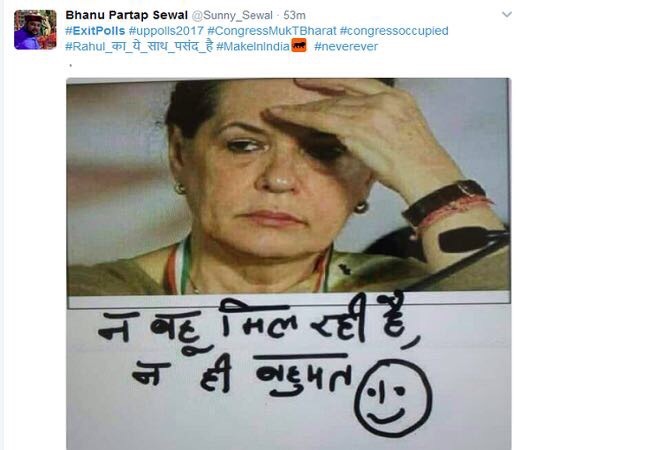 That was biggest helping hand for #Congress. 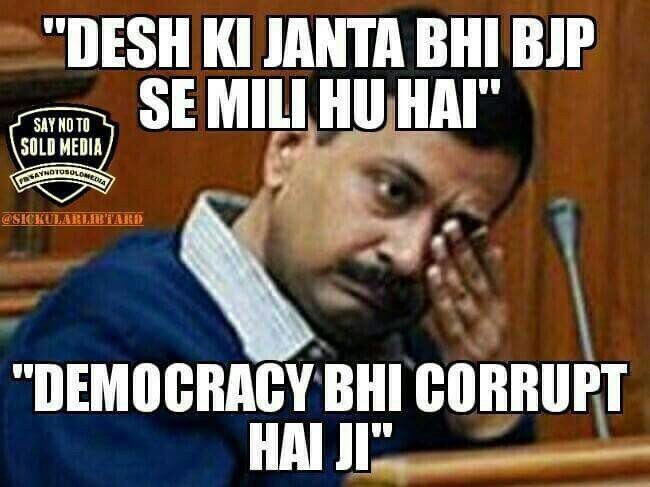 Next time they want to win an election must choose AK to be their rival. 6. 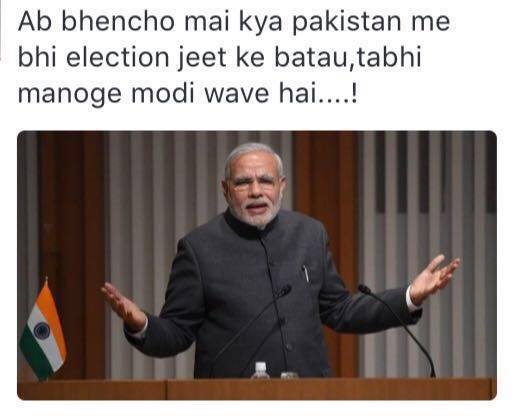 Omar Abdullah has conceded defeat to the #Modi wave till 2024. 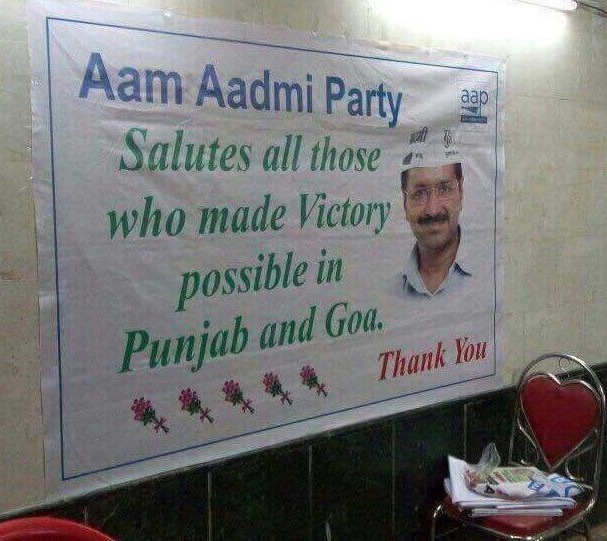 #AAP concedes ‘sab mile huye hain….public bhi’! 7. Navjyot Singh Sidhu possibly the decisive factor in Punjab voting. Thokko Taali. 8. 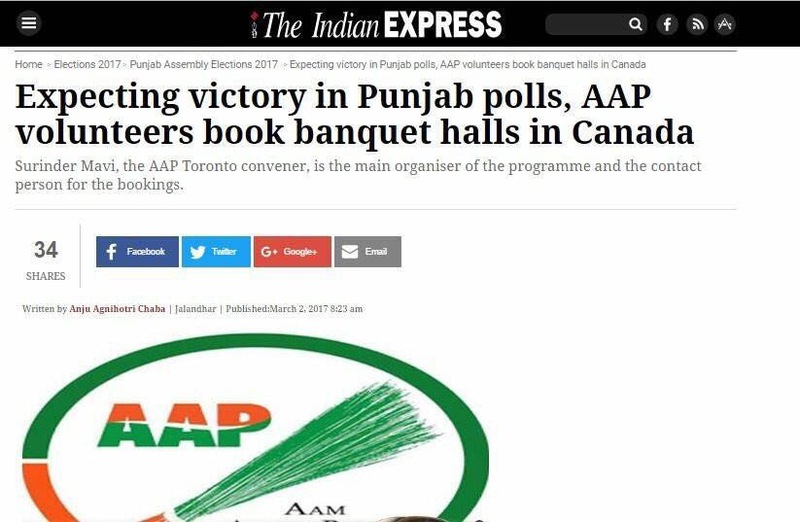 All in all, Punjabis of #Punjab have proved they are smarter than Delhites of #Delhi ! No more sardar jokes please! 9. Yet Manipuris of #Manipur proved they are smartest of all. They had overall voter turnout percentage of 86%. Highest ever. Kudos. 10. Indian media has learnt a lot from #Trump #POTUS win. Media hyped the five states election no end making it look bigger than #USAElections. Media influencers went on to predict #NaMo victory much ahead of time. Red face saved. Credibility intact. Time for Uniform Civil Code. There is only one God, for all. There is only one India, for all. Very entertaining, no doubt . 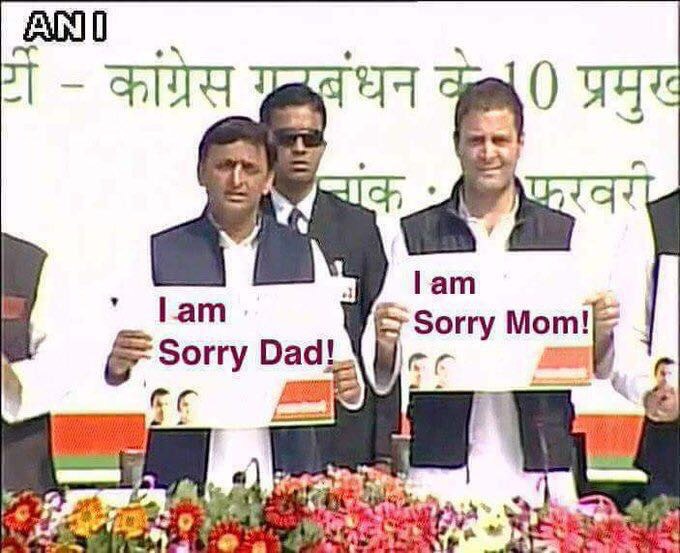 But let me add some more : SP’s cycle getting punctured as a result of RaGa riding on it . Behenji’s claim that EVMs in Uttar Pradesh elections were tempered as a result all votes went in favour of BJP . 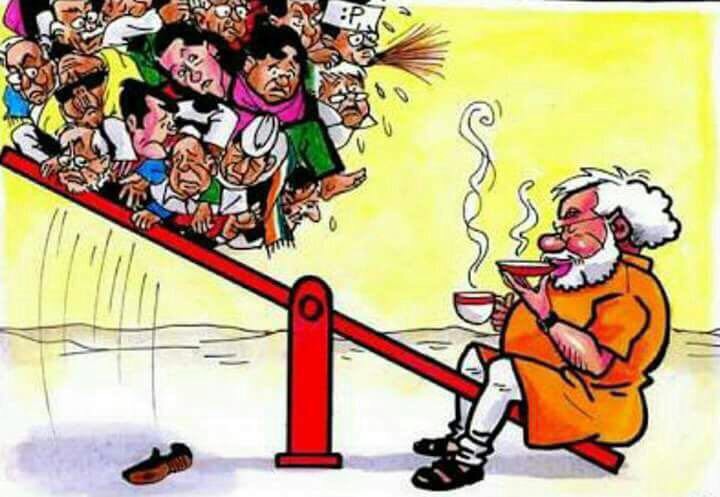 And finally the quip from NaMo himself about Tipu touching the electric wires [ as he knew that there was no electricity ] and RaGa ducking [ as he is used to ducking all questions ] . And then the validity of exit calls . NDTV claimed 193 seats in favour of BJP and at the last moment, actually brought it down to 170 !! 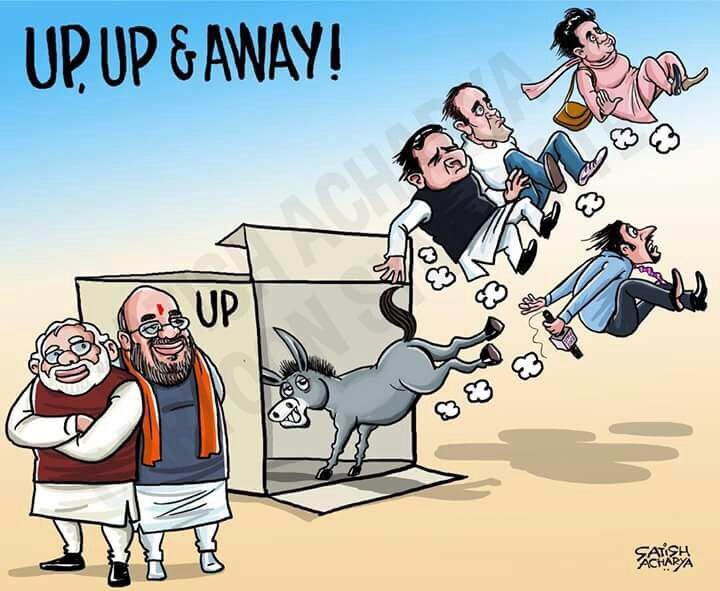 All said and done , my belief is that by spending 3 days in Varanasi , NaMo turned the tide in BJP’s favour and I am personally convinced that now nothing will stop him from getting a second term in 2019 if he seeks one . Even his staunch critics like PC say so . Jai Hind . but should have more then 10 points….